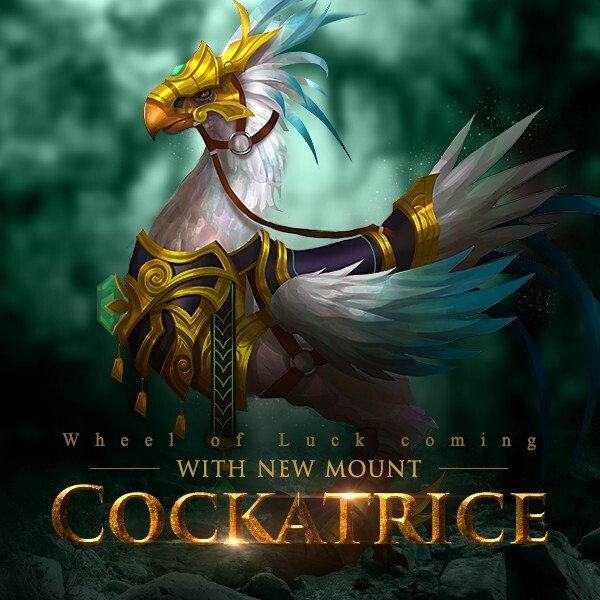 LoA_Play Wheel of Luck to win New Mounts Cockatrice! 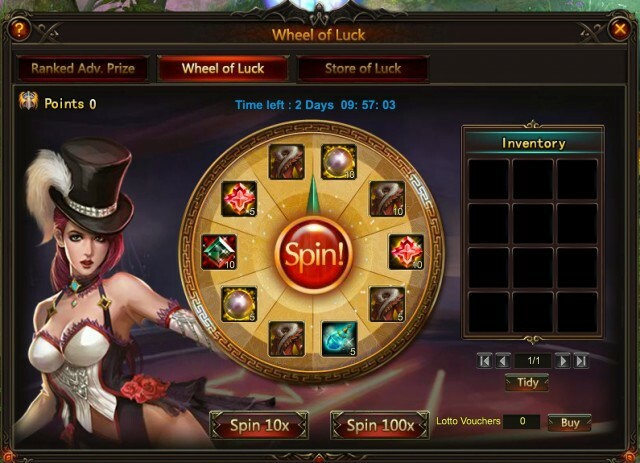 Description: Spin the wheel of Luck to win Dragonblood Drapes, Angelina's Icon and Cockatrice! 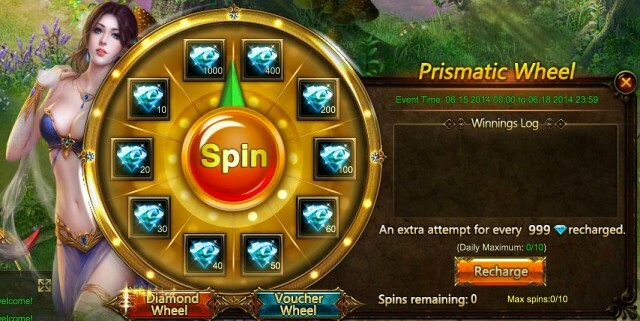 Rules: - For each spin, you will receive 1 Wheel of Luck Point. 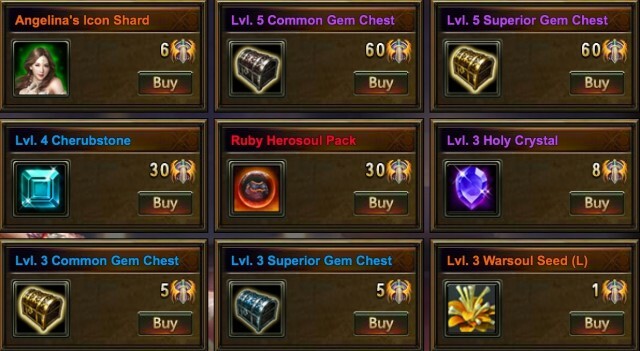 - Daily Top 10 players who have at least 30 points will get extra Refining Stone; Daily Top 10 players who have at least 80 points will get extra Blessed Stones. - At the end of the event, the Top 10 players who have at least 120 total points or 600 points will get extra rewards as follows. 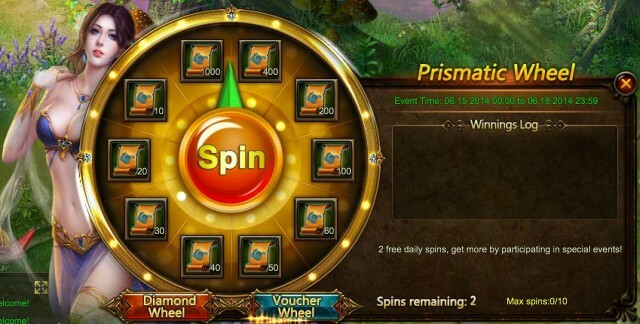 Description: Gain Devotion points every day to win Jackpot Lotto Voucher. The 1st Angel World Cup begins today! 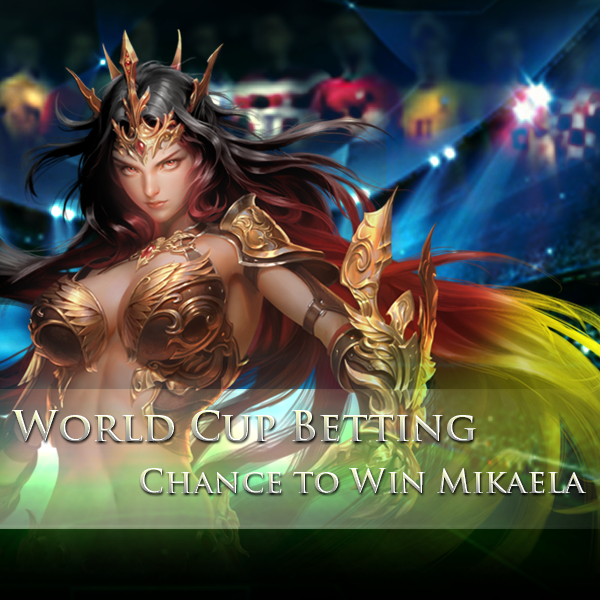 Selections will be made at 00:00 EDT 17th June. During these time, the Top 600 Players on the Cross-Server B.R Rankings will be chosen to enter the Angel World Cup. 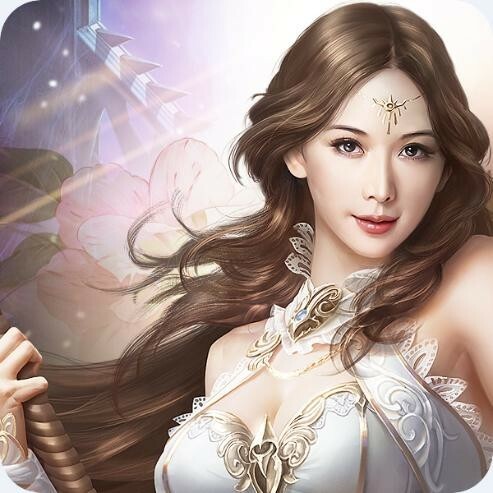 These players will be further split into two groups of 300, with one group going to World Server 1 and the other to World Server 2.